Why credit unions need to know about book yields and total returns. Evaluating fixed-income performance according to book yield or total return is a common question received by ALM First, investment advisor to the Trust for Credit Unions Portfolios and trusted partner to more than 250 financial institutions. To answer it, we’ll break down and define each term, analyze the advantages and limitations of each, and look at how both are used to measure performance. Book yield, also called yield to maturity (YTM), applies more to accounting than portfolio performance because it doesn’t reflect the volatile nature of market risk factors that affect the return on an asset. In contrast, total return is a more accurate measure of fixed-income performance, reflecting risk and return over a specified timeframe. Thus, total return is the preferred measurement tool for asset managers. For the purposes of this article, total return refers to actual realized returns, not a forward-looking horizon analysis. A bond’s book YTM is the anticipated annual rate of return, assuming the security is purchased at a specific price and held until maturity, with all coupon payments reinvested at the bond’s original rate and all payments occurring on time with no defaults or credit losses. Another way to think of YTM is as the bond’s internal rate of return (IRR). To calculate YTM, one needs only the bond’s price, par value, coupon rate, and term to maturity. While a market YTM uses the current market price and the book yield uses the book price, both measures are based on the assumptions of the YTM calculation. This offers major limitations to a yield-based performance analysis, particularly for book yield. A bond’s real return can vary greatly from its purchase YTM because of changes in reinvestment rates and the holding period. So, the efficacy of book yield as a performance measure is limited, even for the simplest security types, such as Treasury notes. Yields are often said to be “stuck in time” because the measurement relies on the pricing of future risk for an asset in a particular market environment (rates, spreads, curve slope, etc. ), while assuming the coupon payments will always be invested at that yield. Market risks are non-stationary, and using yield as a performance measure won’t account for how the market prices the risk of a particular asset differently over time. Thus, accounting yields also miss the economics of a particular asset. Exhibit 1 offers an example: Three different investors purchase the exact same bond at three different points in time. Because of different rate environments and terms to maturity, the book yields are different for each investor, but all three investors will experience the same economic performance going forward. The reported yields are different only because they started earning at different points in time. A time-weighted total return reflects the change in market value between two periods (typically monthly), the coupon income received, and any periodic distributions of principal (including gain/loss on premium/discount). While yields can be regarded as anticipated or promised returns, this method of performance measurement provides a more timely and accurate reflection of risk and return at any given time. Thus, total return can be regarded as the present value of future yields, and higher current returns relative to other assets should translate into higher realized yields over the life of the asset. Like any other performance measure, total return has limitations. One limitation relates to the valuation of the asset. The more uncertainty surrounding an asset’s valuation, the less reliance can be placed on the return calculations. Placing a value on current-issue Treasury notes or agency MBS is relatively simple, but it’s harder to price off-the-run sectors, especially when relying on third-party pricing services. Total return is also limited by the tendency to use current returns as predictors of future performance. To quote a common mutual fund disclaimer, “past performance is not indicative of future results.” In evaluating expected returns going forward, we prefer to rely more heavily on a risk-adjusted, expected return or option-adjusted spread (OAS) framework in calculating ex-ante estimates of risk. As noted, price fluctuations often drive returns. The market value of a security is driven by its sensitivity to a variety of macro factor risks. Because these risk factors are observable in the market, portfolio managers can determine what drove returns for any specific period. For instance, a tightening in mortgage-backed security spreads would explain an appreciation in price for mortgage assets. This return attribution is a key component of effective portfolio management, serving as one of the nodes in the feedback loop that managers rely on to drive investment decisions (Exhibit 2). This practice informs managers’ decision-making process regarding adjustments. In turn, it should help managers generate greater and more consistent returns. Many investors compare their portfolio with a market index to evaluate portfolio performance. For instance, the TCU Ultra-Short Duration Portfolio’s benchmark recently changed to the ICE BofAML U.S. 3-Month Treasury Bill Index when the fund’s target duration was updated. Benchmarks help put returns in perspective by providing a point of reference. Additionally, many managers use benchmarking to manage risk. For instance, if a manager has a mandate to manage a bond portfolio against a 5-year Treasury index, the manager would likely want to maintain a duration that is close to that of the index. By doing so, the investor is keeping the portfolio’s sensitivity to changes in rates in line with that of the benchmark. Therefore, returns should come from thoughtful portfolio construction rather than deriving returns for changes in rates, which is not something that a manager can control. Because yields have embedded within them unrealistic assumptions, using simple “yield” measures can mislead investors about a portfolio’s true risk/return profile. Book yield, especially, is not a valid measurement of expected or realized returns because the price it uses is outdated. Some investors believe total return is not a valid performance measurement tool because they plan to hold the asset to maturity. As the above analysis demonstrated, an asset held to maturity isn’t a factor in determining how effective a total return analysis is for demonstrating risk and performance. Even for portfolios that account for assets at historical cost, simply holding higher performing assets to maturity earns higher spread income when compared with other lower-return assets. 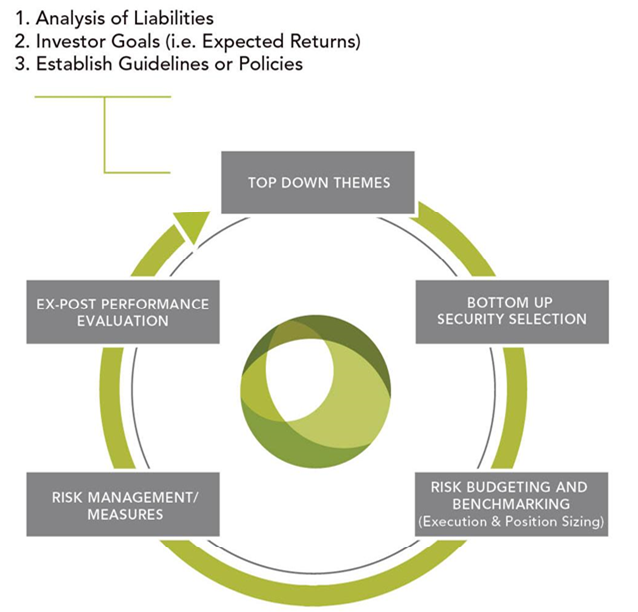 By using this framework, ongoing risk management can be more effective and may increase portfolio value in the long term. The Trust for Credit Unions provides both total return and 30-day yield data each month for its portfolios to help credit unions evaluate the performance of their fund holdings. Interested credit unions may view the latest TCU Portfolio performance report here. Hafizan Hamzah is the director of the investment management group at ALM First Financial Advisors.